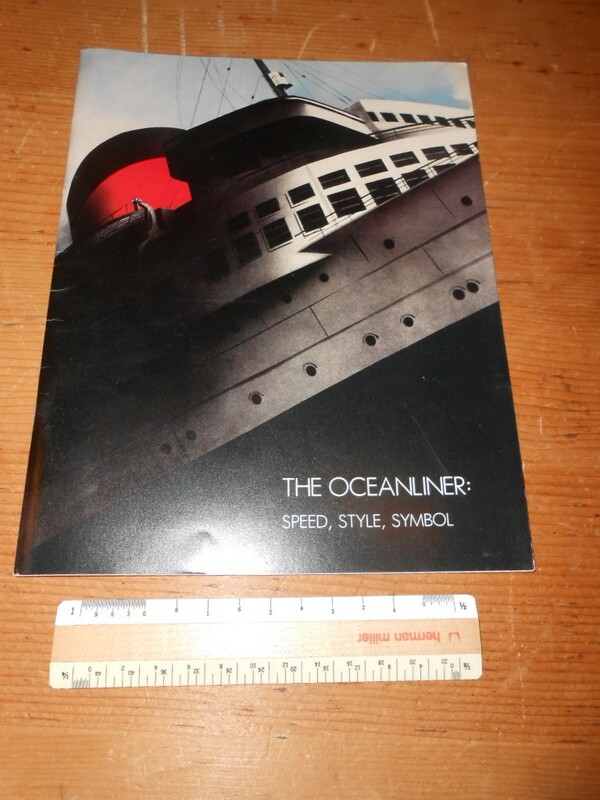 Ocean Liner: Speed Style Symbol Cooper Hewitt Museum exhibition catalogue. The 1980 or so exhibition catalogue that was put on at the Smithsonian’s CH Museum in New York. The text here is pretty concise and insightful … and the pictures are good too. The centerfold is a reproduced famous lavish cut away of the Normandie. A very nice piece from a superb exhibition. In excellent shape and condition.